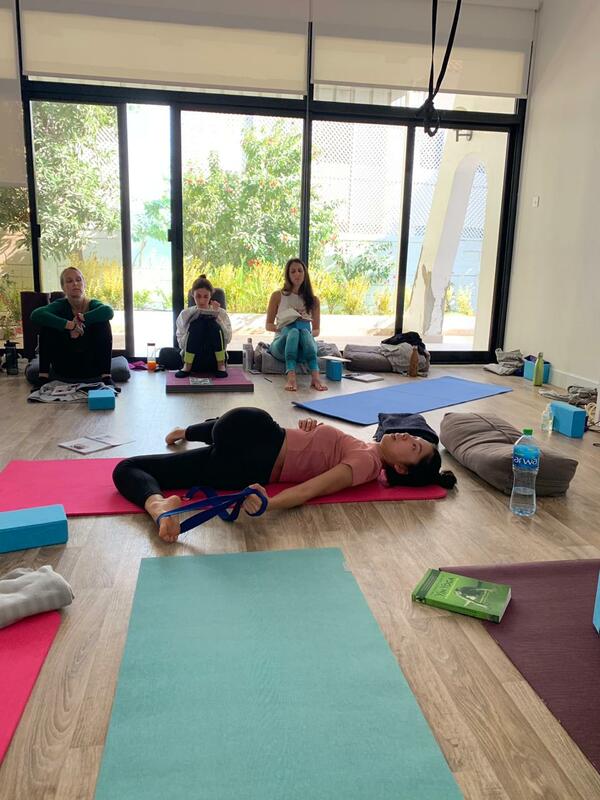 This 50hr Yin Yoga & Chinese Meridians Teacher Training draws on the wisdom of Traditional Chinese Medicine and the application of Yin practice. How we feel in our body has a direct connection with our emotions and mental states. Strong feelings such as sadness, anger, worries, grief, and over-excitement can cause physical symptoms like body pains, insomnia, stress, fatigue, weight gain, indigestion, and skin irritations. You’ll discover in your training how the meridians or energetic channels that run in your body have a direct influence over your emotions. You’ll also learn and become skilled at relieving your physical discomforts through Yin Yoga based on the meridian system. A critical part of Yin practice is tapping into our subtle energy and vitalize our mind and body through energy works. You’ll learn different techniques such as Qi Gong and sound healing to find tranquility in the body and mind. Being a great Yin yoga teacher requires the ability to hold space for the others. Holding space means your ability to guide the students using minimal words or through fascinating storytelling. You will discover different teaching methods that will help you tap into your students’ emotions and how to take them onto a journey of equanimity in the body, mind, and spirit. 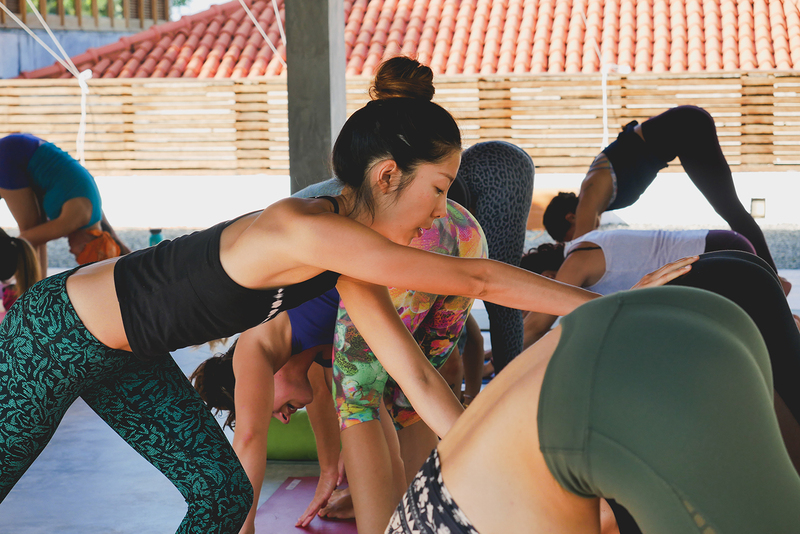 In this advanced yin yoga & meridians teacher training, you will discover new and creative ways to sequencing and delivering soulful yin classes. Theoretically, we will dive deep into the western medical foundations of Chinese meridians, relating each meridian to our anatomical landmarks, learn in each meridian possible physical disharmonies and how we can restore health through applied yin yoga practices. In addition, the focus of this level II course is to finesse your skill in delivering emotionally and physically enlightened classes. Embrace the challenge and enhance your skills in engaging your students through storytelling and guided meditations. Why join this training ? How will this benefit individuals who do not have their 200 hours or yoga experience? Yin yoga is suitable for people from all walks of life; it is a personal growth and revitalizing practice. You don’t have to be a 200hr yoga instructor or have vast experiences in yoga to receive the benefits from this program. The yin practice with the application of the meridians system will help remove any mental stresses, internal organ distresses, and chronic/acute physical pain. It’s a program for anyone who wants to bring harmony to their everyday life. The world is going at a rapid speed and more people than ever need the tranquility that yin yoga offers. Yoga instructors who can teach yin yoga in addition to their existing classes can help better the lives of their students even more. Also, studios are seeking teachers who can also teach yin yoga as they see a tremendous demand from their clients. What certification will clients get? Upon completion, you will receive a 50hr or 100hr (Level 1&2) Yoga Alliance US accredited certificate. This is a certificate for Continued Education Credits (CEU). You must attend all of the hours to receive the certificate. Are there pre-requisite required from students? PART 1: Minimum 3-6 months of yoga experience is required. You must have attended yin yoga classes in the past and show a deep interest in learning about Yin Yoga and Traditional Chinese Medicine. 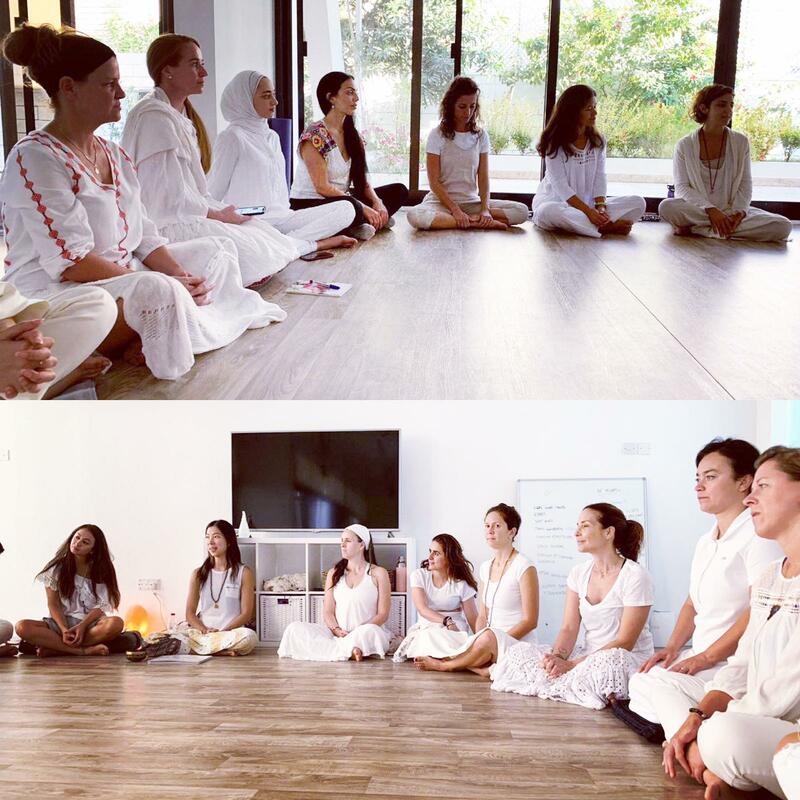 PART 2: Registered students must have attended the part I course with Annie Au or have attended previously a Yoga Alliance approved yin yoga teacher training. Students should be familiar with the classical yin yoga postures prior to attending this course. Inspiring books, articles, Ted Talks and podcasts will be shared upon registration! These training courses are Registered Yoga School (RYS) with Yoga Alliance. Annie helped me redfine the concept of teacher. She is so strong and yet so open to her students that I always felt I could speak to her about anything. She has a way of making her teaching so relatable and practical. I have learnt a lot from her, which I am thankful for and hope to attend another course with her in the future. I fell in love with Yin Yoga in Annie’s classes. She brought my yoga practice to the next level. Annie is a big inspiration for me and I love to learn more from her huge bank of knowledge. I love her sense of humour, creativity and the effective way of teaching complex subjects such as anatomy, Chinese medicine, and philosophy. I will definitely join more trainings with her- she is an amazing and inspiring person! Annie- Amazing! Thank you for sharing your love and heart with each and every one of us, in Sri Lanka. I loved the 50hr yin yoga training, it was so much more than I ever expected. I feel confident and knowledgeable, ready to share this beautiful practice. You are a strong, authentic, and wonderful teacher. I feel so honored to have learnt from you. Thank you so much! I have taken the 50hr TT with Annie this past month (Jan-Feb/2018) in Sri Lanka, and I can’t be more grateful for that. 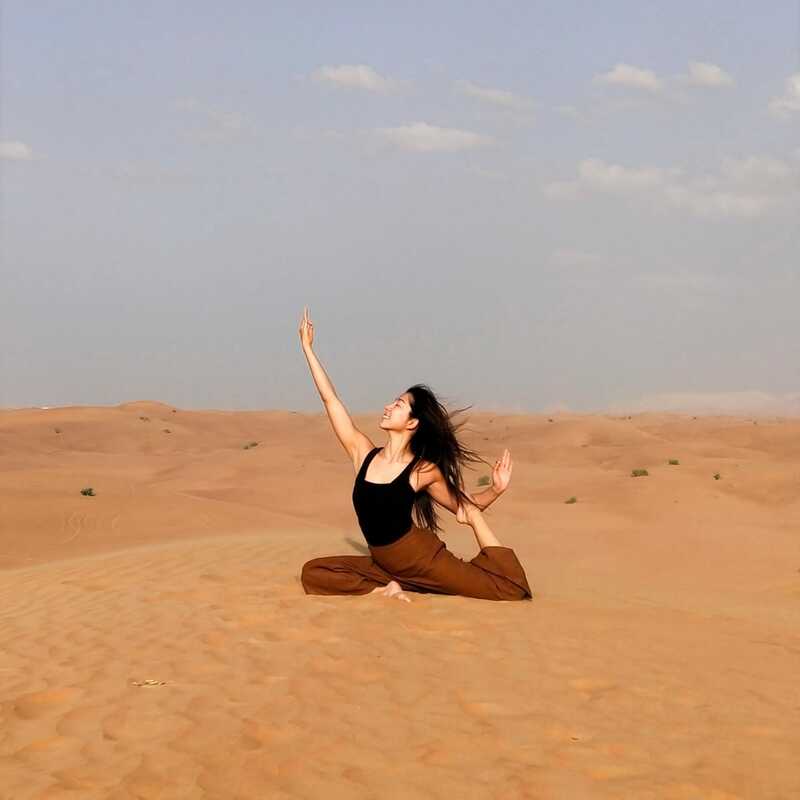 A yoga teacher, for me, is more than a person who teaches you asanas or techniques, a yoga teacher is a person who transmits experiences, thoughts, vibrations… and life. Annie is a devoted teacher with tons of knowledge to share and help you grow as a practitioner on and off the mat. Thanks to this, I feel so prepared to be a teacher now! I definitely recommend taking classes and trainings with her. Life changing!